August 15, 2006 By John P.
Google has added some fascinating footage of the moon to commemorate the anniversary of our Apollo moon landings. This is interesting from a historical perspective, but even more fascinating is the incredible detail of the moon surface that can be seen when you zoom all the way in. I guess this definitively answers all questions regarding what the moon surface is made of. The footage of the moon is obviously in preparation for the upcoming manned Google Lunar Outpost, for which they are currently filling applications. 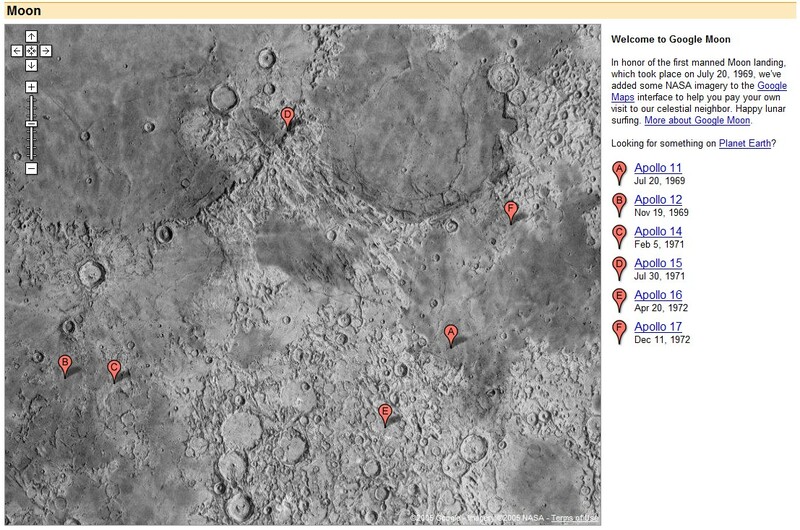 On a related note, Google also has high resolution images of Mars at… Google Mars (shocker, huh? ).